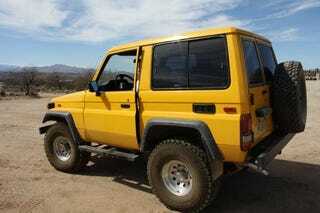 2 door, diesel Land Cruiser! The price is even in what I would consider to be a reasonable range (still somewhat high, but not the looney tunes money that some people try to get for their imported cars). If I were in the market for a car right now, and if this thing has been imported legally, I would be quite interested.